My practice, established in 1999, is unique in its array of therapies and time-intensive care, and provides the patient with an explanation of the health problem that is clear and integrated with modern medicine. The possible combination of acupuncture needling with effective physiotherapies, patient instruction in self-administered therapies and body mechanic corrections (ergonomics), as well as professional herbal and nutrient prescription, makes this a type of treatment that often provides a successful outcome as quickly as possible, and complements the diagnosis and care of standard medicine. 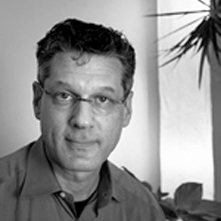 I, Paul L. Reller am a Licensed California Acupuncturist and a graduate of the American College of Traditional Chinese Medicine (ACTCM) in San Francisco, California, a nationally certified graduate school of medical science. As a Licensed California Acupuncturist, I am a primary care physician qualified to diagnose and treat any injury or illness utilizing a wide variety of treatment techniques, including needle stimulation, diathermic heat stimulation, electrical stimulation, manual physiotherapy, herbal prescription, nutrient or nutripharmaceutical prescription, dietary counsel, myofascial release, trigger point needling, active release technique, joint mobilization, cold laser, ultrasound, instruction in therapeutic activities, correction of postural mechanics, neuromuscular reeducation, and other techniques. Combining these treatment techniques and protocols may insure greater success for more complex problems, as well as provide for an effective and enjoyable treatment for health maintenance and prevention of disease or injury. The California scope of practice of acupuncture directs the Licensed Acupuncturist, or TCM physician, to treat both the symptoms and the underlying causes and contributors to disease and injury. This holistic approach is both thorough and sensible as an integrated medical approach, complementing standard treatment. Each Licensed Acupuncturist brings a unique set of skills, knowledge and experience to their practice. I have studied musculoskeletal and orthopedic medicine beyond my medical school education, with among others the famed Fred Lerner of Los Angeles, and have taught integrative musculoskeletal medicine at my alma mater, ACTCM. I have also received advanced education in Beijing and have further studied stroke rehabilitation. I have apprenticed with Christopher Hobbs, a renowned California herbalist and researcher. Integration of classical Chinese medicine with modern scientific study and evidence-based protocol is his strong suit. The usual course of treatment combines the four foundations of treatment in Traditional Chinese Medicine (CIM/TCM), acupuncture, herbal and nutrient medicine, Tui Na physiotherapies, and Qi Gong energetic medicine and patient instruction. Besides the treatment of musculoskeletal problems, such as traumatic or repetitive postural stress injury, specialties include treatment of hormonal or endocrine disorders, diabetic or metabolic disorders, functional gastrointestinal disorders (IBS, GERD et al), allergies and asthma, neuropathies and neuromuscular disease, autoimmune and hyperactivity (ADHD) disorders, and other chronic syndromes such as encephelomyopathy (fibromyalgia and chronic fatigue syndromes), chronic regional pain syndromes (reflex sympathetic dystrophy et al) and immune deficiency. In addition, fertility issues are addressed comprehensively, and supportive therapies in cancer care and stroke rehabilitation are handled in a thorough manner. Complementary medical care for cancer patients is a rapidly expanding field, and I utilize the latest research to insure the best possible outcome and narrow the therapeutic choices to care that is specific to the case. Of course, the best medicine is preventive, and a wealth of scientific study now supports Complementary and Integrative Medicine and TCM in the prevention of cardiovascular disease, neurodegenerative disorders, cancer and other health concerns, and this physician offers many therapeutic protocols. Many patients seek effective stress reduction, health maintenance and prevention of disease with TCM care, even when they are healthy. Having recovered from my own serious injuries with a comprehensive package of care, I have been motivated to provide successful comprehensive care to others and am able to bring a wealth of personal knowledge of how to achieve a successful rehabilitation and overcome adversity. I also bring a true empathy for my patients who must gather the resolve and work hard to restore health in disabling circumstances. The primary physician is always the patient him or herself. The other physicians are there to provide the patient with an integrated team of care and expertise, and a proactive and thoughtful approach produces the best outcome. This website is intended to help patients better understand their medical problems and find the best protocol to achieve a cure.